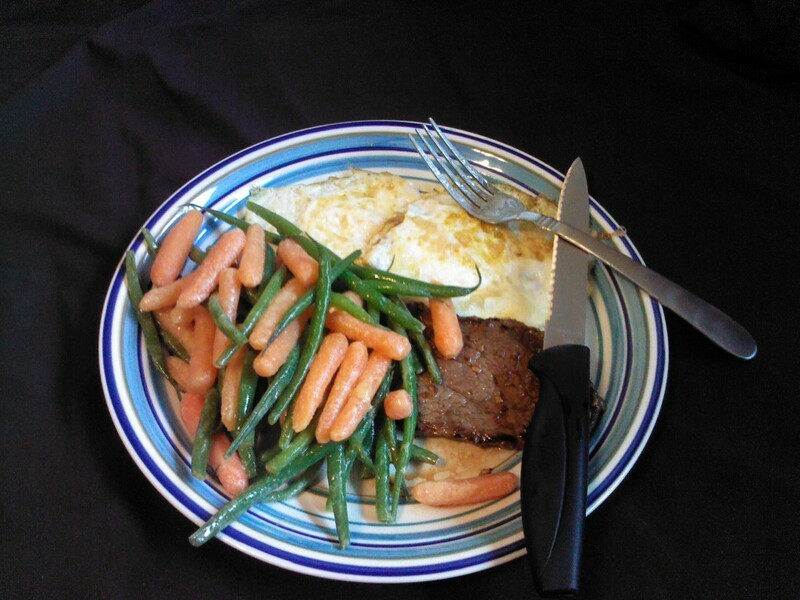 I’m in love with this dish because it’s super simple to prepare, filling, and not too unhealthy: steak, eggs, and steamed veggies in a Dijon sauce. Surprisingly, considering how much I love meat, the star of the show here is the veggies in sauce: steamed baby carrots and French green beans (haricot verts) with an emulsion of Dijon mustard, red wine vinegar, EVOO, and some salt. Basically, it’s a quick and dirty substitute for Sauce Dijon. If I’d known sauce + steamed vegetables was such a winning combination (don’t ask me why it took so late in life for me to get a clue) I would be a much healthier person 🙂 My mission for next week is to learn how to make Hollandaise sauce and its derivatives, and find other vegetables to smother in sauce. No doubt Alton Brown has something interesting to say on the matter. Are there perturbations that preserve incoherence and give nicely conditioned “submatrices”?